on sunday, the boys and i spent the day shopping. 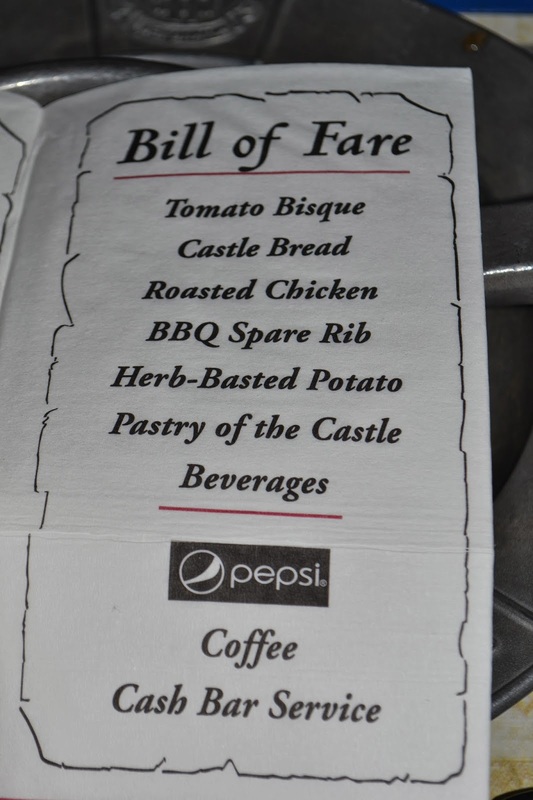 that evening, we headed over to the Medieval Times castle for dinner and a show! as soon as we entered the castle, we were crowned with the color of the knight we were to cheer for - BLUE! they reccomend getting to the show up to 75 minutes early! don't worry if you can't though - seating is done by color/number and in a very orderly fashion! arriving early allows you to take pictures with the king, browse at all the items for sale (swords, shields, knives, trinkets ..], grab a drink from the royal bar and enjoy seeing some getting knighted by the king! once in your seat, the server comes around and explains the show. asks you to raise your hands and says 'you just met your silverware!'. that's right - you eat with your hands. talk about two poag boys being super happy! [don't worry parents, after the feat they give you a big wet wipe to clean up with]! it also comes with your choice of water, pepsi or tea! a bar wench comes around during the show to ask if you want anything from the royal bar as well. there is also a vegetarian option for those who do not eat meat. it includes: tomato bisque soup, garlic bread, large Portobello mushroom cap stuffed with whole grain, rice and bean blend, large skewer of roasted vegetables, hummus with pita chips and pastry. If you want the vegetarian plate, you need to let your server know ahead of time. the plot of the show isn't hard to follow at all. my four year old knew exactly what was going on - my two year old? 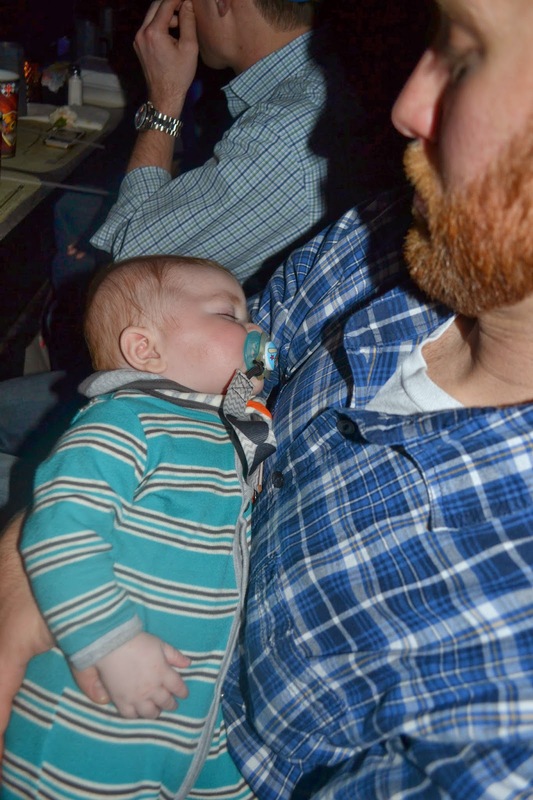 eh, he just kept screaming "GO BLUE KNIGHT!!". we see plenty of horses tricks and the knights even attempt some tricks of their own - gavel throwing, flag tossing and trying to get a ring off a hook with their swords. the knights battle it out to see who the last knight standing is. that one then duels the bad guy till the finish! the announcer does such a good job of keeping the crowd entertained and making sure we're screaming for our sides! i would highly recommend everyone [especially those with boys] go at least once in their lifetime! the dueling action is so amazing too. they are so well choreographed! and every now and then sparks will fly when the two swords cling together. my boys especially loved that! our knight was almost last one standing! he put up a great fight! 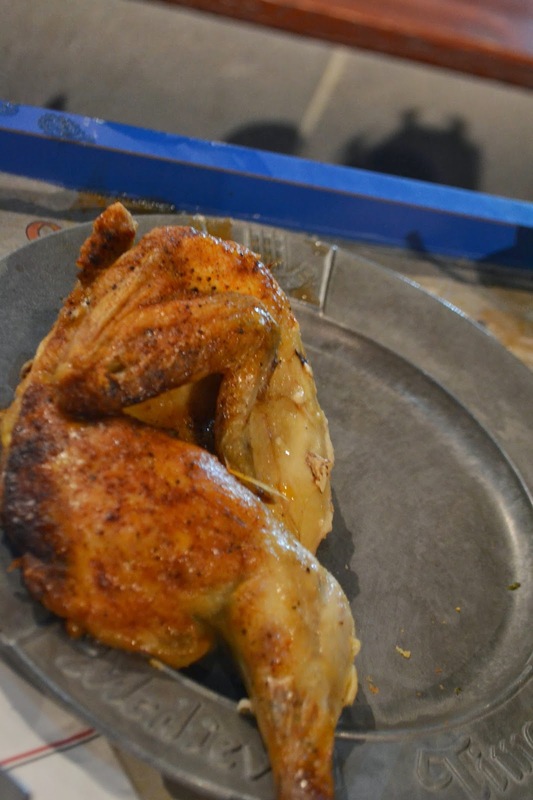 it's a little pricey but you are getting a delicious and HUGE dinner in addition to a show and not to mention memories that will last a lifetime! 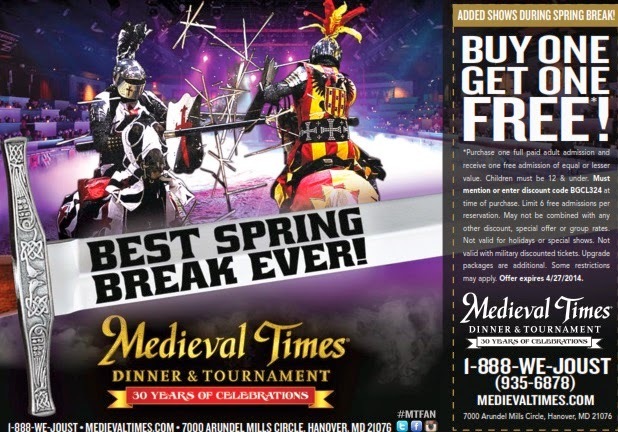 Medieval Times - Baltimore is current offering a BOGO special now through April 27. So whether you want to reward your kids for good report cards or just celebrate our ONE day of spring break [ha, my Marylander's know what i'm talking about] - now is definitely the time to take advantage! HUGE thank you to Medieval Times - Baltimore for the amazing seats. disclaimer: i received complimentary tickets from Medieval Times - Baltimore in exchange for my blog review. all opinions expressed are my own.